The feeling of your eyes and throat starting to itch with irritation, or even the onset of a headache that begins after using a carpet cleaner. Have you ever stopped and thought about the construction of chemicals used in your cleaning products and the potentially scary effects they may have on your health? Many common household cleaners – such as soaps, air fresheners, and polishes – can include harmful chemicals, according to the American Lung Association. Even scarier, it is important to keep in mind that many cleaners and cleaning products have an incomplete ingredient list of undisclosed chemicals present. What can you do to avoid potentially harmful and toxic chemicals from entering into your home and affecting your health? 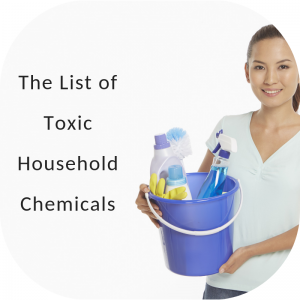 With our resourceful list of harmful common household chemicals below, you can be sure that you closely examine the products you use for traces of these toxic chemicals before using them in your deep cleaning routine! 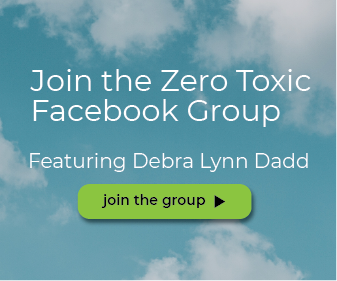 The average household contains close to 62 toxic chemicals and we are commonly exposed to them almost every day. Recently, as the issue of air quality and chemicals in the home have been brought to the forefront – manufacturers have argued that the small amounts of these toxic ingredients aren’t a big health risk, however, when you are exposed to these chemicals routinely the health risk can be elevated significantly. Did you know that even the packaging of your cleaning products can contain harmful chemicals? Bisphenol A, or BPA, is a chemical used to make a hard-clear plastic like polycarbonate, some sealants, and thermal paper such as those found on cans or receipts. A big concern associated with BPA is from a recent study provided by the U.S. Food and Drug Administration (FDA) and the National Toxicology Program which found potential effects of BPA on the brain, behavior, and the prostate gland of fetuses. 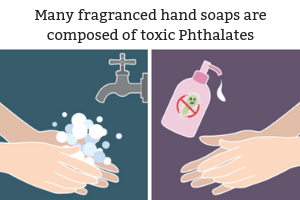 Those wonderful smelling fragrances found in your air fresheners, dish soap, or even in detergent are not beautifully created fresh scents but rather a construction of harmful chemicals known as phthalates. Many cleaning supply manufacturers due to proprietary laws, are not required to disclose the chemicals used within the scent of their product(s). However, if you see that there is a fragrance listed in the ingredients, there is a strong likelihood that phthalates are present. This type of chemical is a known endocrine disruptor that can affect the sperm count in men. Perchloroethylene is a common household chemical that is used in dry-cleaning solutions, spot removers, and carpet/upholstery cleaners. This commonly used chemical is a neurotoxin and even a potential carcinogen that can have an impact on the health of those exposed. The main route of entry for this chemical is through inhalation, the chemicals are usually identified by the distinct smell left on clothing or on carpets after its use. Many hand soaps or liquid dishwashing detergents typically contain properties that make it an antibacterial agent. Triclosan is a chemical present in many of these cleaning products, it is an aggressive antibacterial agent that can promote the growth of drug-resistant bacteria. The American Medical Association found that there is no evidence that these antimicrobial chemicals are healthier or safer to use, but they are concerned of an overusing of this chemical as it will build up a resistance to real antibiotics that we need. Another antimicrobial that poses the same health concerns as Triclosan by helping build an antibiotic-resistance to bacteria is Quaternary Ammonium Compounds “QUATS”. This chemical is found in fabric softener liquids and sheets or any household cleaners labeled “antibacterial”. QUATS are known to cause skin irritation and is a culprit of respiratory disorders. Window cleaners, glass cleaners, and any multipurpose cleaners contain a chemical known as 2-Butoxyethanol that when exposed to can inflict effects to your body. According to the EPA, this household chemical is known to trigger sore throats upon inhalation, and in higher concentrations it will contribute to narcosis, pulmonary edema, and severe liver and kidney damage. 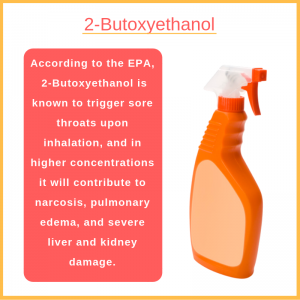 2-Butoxyethanol is found in the “glycol ethers” category and is a set of powerful solvents that by law are not designated to be identified in the ingredient list, which means that you may be exposed to this chemical more than you even know! A very well-known and heavily used chemical cleaner, ammonia is used in polishing agents for bathroom fixtures, sinks, and jewelry, as well as glass cleaners. Also, ammonia evaporates, thus it does not leave streaks, and therefore it is a commonly used ingredient in commercial window cleaners. Although this chemical has benefits in cleaning products, the health concerns presented from this chemical can include asthma and lung irritation, breathing problems and even bronchitis. Also, when ammonia is used in conjunction with bleach it can create a poisonous toxic gas that can be dangerous if inhaled. Chlorine is a commonly used chemical that is found in the home. Typically, chlorine is found in toilet bowl cleaners, mildew removers, & laundry whiteners. The dangers of chlorine lie within the exposure, as there are many routes of exposure – including through fumes and even through skin when you clean with it in your home. Did you know that you are also exposed to chlorine from the water you shower in? Chlorine is used in city water to help get rid of bacteria. Depending on the amount of exposure – health risks can vary from acute to chronic. The hardest to clean, grimiest spot in your home is your over. Food dripping and other debris end up in the oven, making it extremely hard to clean. Therefore, to remove this hard to clean area, you need a strong chemical cleaner like sodium hydroxide. Also known as lye, sodium hydroxide is extremely corrosive, if it touches your skin or enters your eyes it can cause severe burning. This chemical can enter through skin contact and inhalation – and when inhaled can cause a sore throat that will persist for days. During the cleaning process, multiple chemicals are used in conjunction with one another. 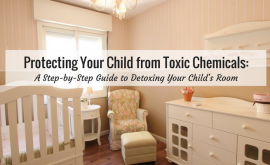 When chemicals are mixed together a complex mixture of VOCs are created and are exposed in the household. A number of scientific studies have found that chemicals including VOCs emitted from cleaning products may have health effects specifically professional cleaning products. VOCs from cleaning products can illicit an increased risk of onset asthma and other respiratory effects. Finding natural cleaning products is no easy task, as many cleaners that “claim” to be eco-friendly and natural are not all they say they are. With hidden ingredients unlisted from many common cleaners, the risks are high and natural cleaning products are sparse. 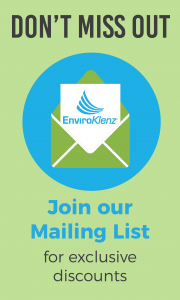 However, with EnviroKlenz there is no fear of hidden ingredients that contain toxic chemicals – you are ensured that only earth-friendly, nontoxic ingredients are used in the construction of the products. 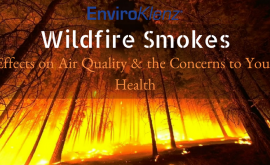 EnviroKlenz is made with safe earth minerals that are capable of breaking down and neutralizing a broad range of noxious odors and chemicals present on the surfaces and air of your home. 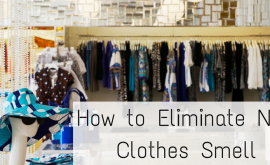 Throw out your harsh chemical cleaners like chlorine and bleach, and instead implement EnviroKlenz into your cleaning and deodorization process. 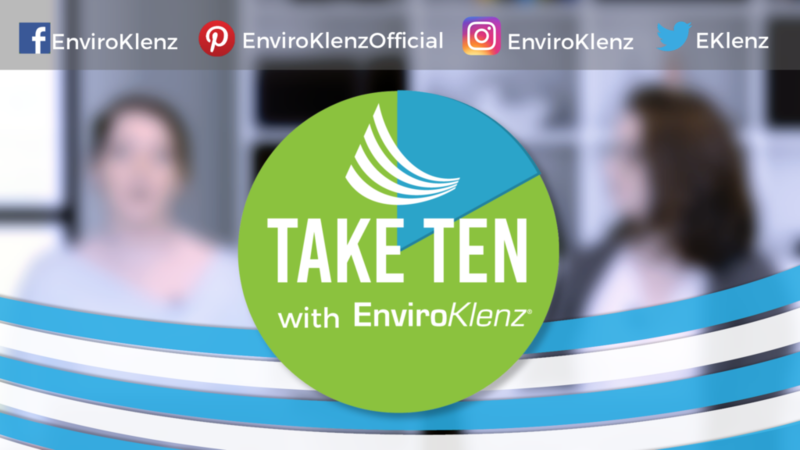 If you have a present chemical odor in your home from a harsh chemical cleaner you used, you can utilize our EnviroKlenz products – such as the EnviroKlenz Everyday Odor Eliminator to neutralize and eliminate those chemical odors in your home. 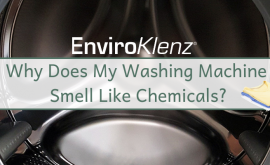 Why Does My Washing Machine Smell Like Chemicals?